Yesterday, in Madrid, Russian Foreign Minister Lavrov discussed the events in Ukraine with the `Minister` of Foreign Affairs of the European Union, Catherine Ashton. Lavrov told Ashton that Moscow is not going to change its policy and criticized the EU and America for the failure of the previous agreements. A Russian diplomatic source called `B` confirmed: The Kremlin convinced Yanukovich to sign the now defunct agreement. Reporting from Madrid with more details is Elena Tsjernenko. The meeting the foreign ministers began in a tense atmosphere. Lavrov talked to Ashton at the residence of the Russian Ambassador in Madrid and offered her a plate with biscuits on it: `The biscuits are, of course, not from Maidan , but still`. Ashton refused: `I have never eaten cookies in my life` she said. There was an awkward pause after this. `It looks beautiful here`, Ashton said, trying to lighten the mood. `Yes, our ambassador has earned the right to work in such a place`, the Russian minister said but could not resist taunting Ashton: `Unlike some, we appoint people on merit, not on political beliefs.` He clearly hinted at the new government in Ukraine. Ashton started to objecting but then asked the press to leave the room. 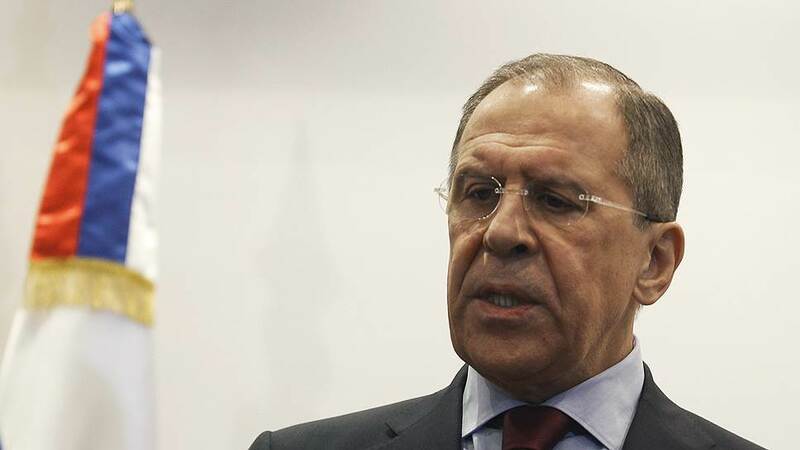 The sarcastic remarks of Lavrov reflect the mood in Moscow, which now clearly harbors a grudge against Brussels. Not only in connection with the announcement of sanctions but also of events that transpired much earlier. A Russian diplomatic source confirmed the statement by Foreign Minister Radoslaw Sikorski that it was Vladimir Putin who, during a telephone conversation on february the 21st, convinced Yanukovich to make consessions to the opposition. According to this source, Vladimir Putin urged Yanukovich to abbandon plans for a state of emergency and begin negotiations with the opposition to stop the bloodshed. In addition, the German authorities have recently reported that Vladimir Putin accepted the proposal of Chancellor Angela Merkel to establish an international mission to investigate the situation in the Crimea under the auspices of the OSCE. However, the source told Kommersant that this is `wishfull thinking` of the Germans. `There are fears that they are trying to draw us in all kinds of formats for legitimizing the new Ukrainian government.` `We are ready to continue the dialogue with our Western partners but only if they are prepared to return to the agreements of February the 21st and that all political forces will be involved in this.` Moscow, according to the source, will not insist on returning Yanukovich to power, but will seek a reallocation of ministerial portfolios which is in the interest of those regions not supporting Maidan. The EU and the US, it seems, have already given up on the agreements of February the 21st. The statement put out after an emergency session of the Foreign Ministers of the EU did not say a word on these agreements. What it did say is that the EU may impose sanctions on Russia if it did not `de-escalate` the situation in the Crimea. It could be that the EU will consider freezing the negotiations on the liberalization of the visa regime and work on a new basic agreement between the EU and Russia. `Those who get angry are always wrong` Lavrov answered on the request of Kommersant to comment on the threats made by the West. `If our partners in Europe and the U.S. are not able to do anything in order to fulfill its obligations pertaining to the agreements between the government and opposition , why are others guilty of their own inaction?` According to Lavrov, Russia´s position is honest and Russia will therefore not change it. On top of that, the threat made on suspending work on the simplification of visa formalities and the new basic agreement is not particulary worrisome for Moscow: negotiations on those themes stalled long before the Ukrainian crisis. However, the EU does not rule out that it may expand the number of sanctions to include financial and trade restrictions , as well as the introduction of extensive black list of banned individuals. According to ” Kommersant ” Moscow is hoping that the EU will not be able to agree on a common list of measures and sanctions , and believes that ” Old Europe ” wil soften the zeal of “Young” East European members of the Union . Such a calculation may well be justified : Germany , the UK and Spain are against those sanctions.